The new building on the Pinecrest campus. The Pinecrest School community gathered for an emotional ribbon-cutting event Dec. 4 to celebrate the completion of a new building. 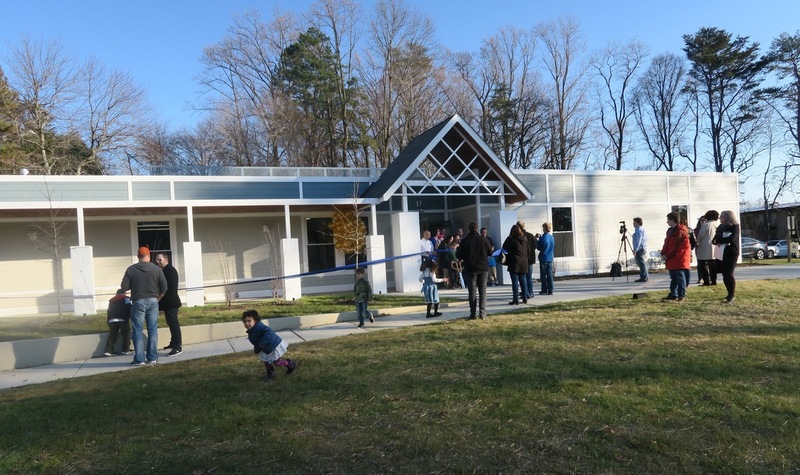 The private school, at 7209 Quiet Cove, Annandale, serves about 85 students in preschool through grade 6. Pinecrest Head of School Nicole McDermott speaks at the dedication of the building. Left to right: board chair Nick Wakeman, McDermott; Mason Supervisor Penny Gross; project manager Jaime Kurry; and Somer Cross. The new building has six classrooms for the lower grades, offices, a conference room, Spanish room, teachers’ lounge, and small library. The upper grades will remain in the school’s other building. The new facility replaces an old building that had originally been a house and was added to over the years. The new building is only slightly bigger but is better organized. It will allow Pinecrest to add a few more students. 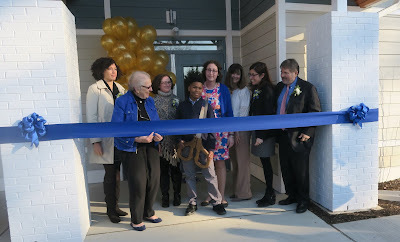 Pinecrest fifth-grader Ethan Hush cuts the ribbon. McDermott thanked the many people who contributed to the effort. 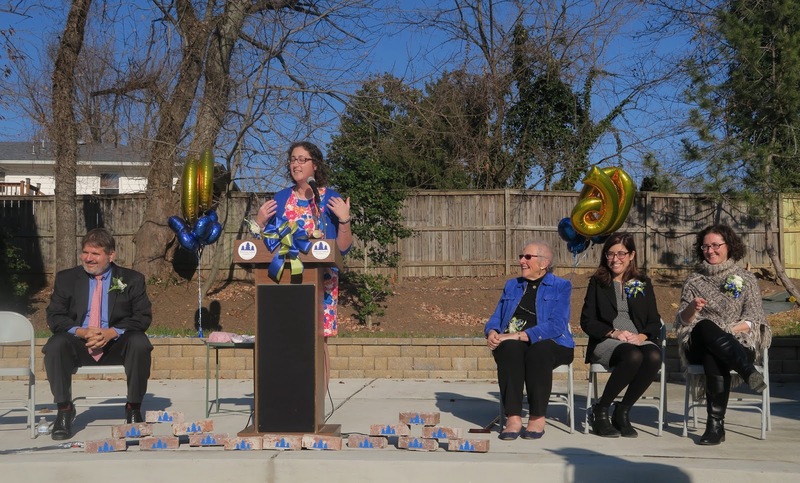 Among those recognized at the Dec. 4 event: Jaime Kurry, the project manager; Somer Cross, who oversaw the moves out of the old building and into the new one; Elizabeth Crowder, the fundraising chair; land use attorney Lynne Strobel; the team from Work Program Architects; ModSpace; Virginia Community Capital; Peace Lutheran Church, which housed some classes during the construction; the board members; teachers; and other staff. 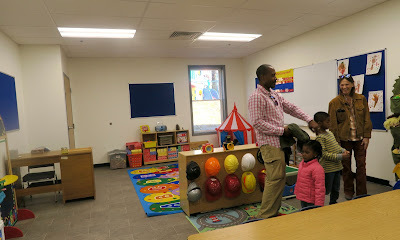 A classroom in the new building. “Encouragement is what I will remember the most,” McDermott said about the five-year process to plan for and construct the new building. She especially appreciated receiving a card from a preschooler before a big meeting, as well as many kind words and emails from the Pinecrest community.